THE GRAND SLAMBOVIANS emerged in 1998 from the misty hills of Sleepy Hollow, New York and exploded onto the Hudson Valley music scene with their stunning self-produced debut release, A Good Thief Tips His Hat. The quirky quartet then began touring throughout the Northeast and rapidly developed a fiercely loyal, all-ages following. Their second studio release, Flapjacks from the Sky was widely hailed as an Americana masterpiece, and was followed by their long-anticipated album The Great Unravel, which has garnered similar accolades. The band’s charismatic live performances and whimsical blend of folk, rock, hillbilly, and pop have captivated audiences and critics alike. On stage they create an enchanting atmosphere, combining traditional folk instruments with tasty electric guitar and the distinctive singing/songwriting of Joziah Longo. 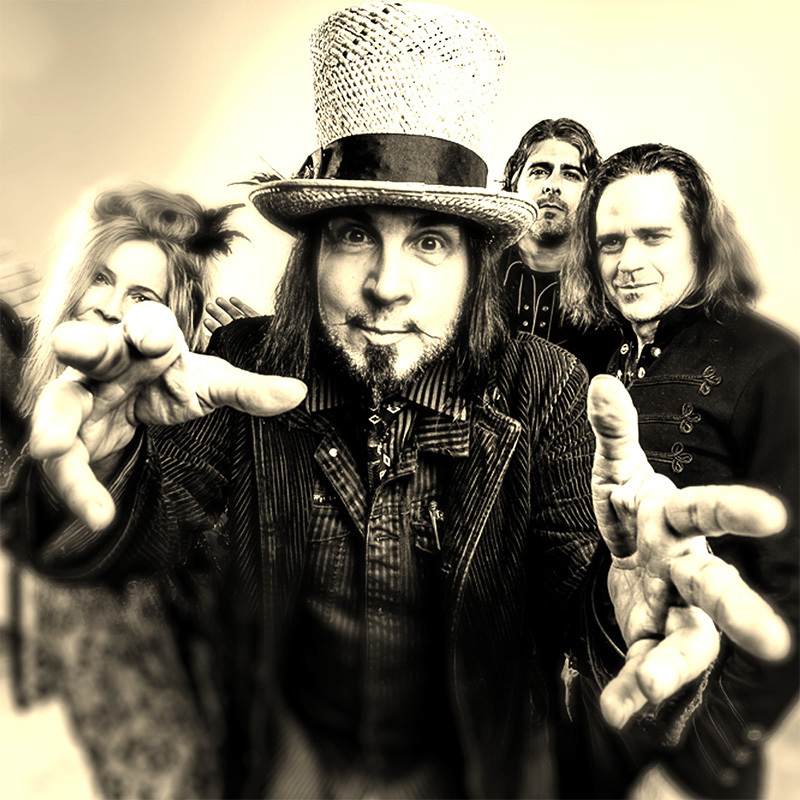 The music of Slambovia has been variously described as “hillbilly-Floyd,” “folk-pop,” “alt-country, roots-rock,” and “surreal Americana” —a clear indicator of its singularly indescribable uniqueness. Citing Influences as diverse as Hank Williams, Dylan, Bowie, Incredible String Band, and early Pink Floyd, the band’s music evokes a mental rollercoaster of whimsical, thought-provoking images. Dancing freely between all existing religious and philosophical mythologies, their sound is uplifting, empowering, and a lot of fun.